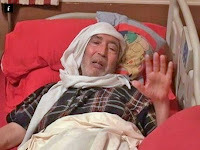 Baset Al-Megrahi, suffering from terminal prostate cancer, was released on compassionate grounds in 2009. He lived much longer than doctors had expected, but late in 2010 deteriorated severely. During 2011 he was kept alive only by intensive care, a massive regime of drugs and continuous help by his wife Aisha and his family. He died on the 20th May 2012. Only through the Wikileaks publication, by Julian Assange, of secret American communications did we learn that, even as he lay on his deathbed in Tripoli, security contractors working for the US government were discussing the rendition and assassination of al-Megrahi. As employees of the US government they appeared to believe that they had a right to kill anyone, anywhere. STRATFOR is a Texas-based global intelligence supplier to large corporations such as Dow Chemical Co.,Lockheed Martin, Northrop Grumman, Raytheon, and government agencies including the US Department of Homeland Security, the US Marines, and the US Defence Intelligence Agency. The Stratfor Vice-President is Fred Burton. One of his employees in 2011 was Director of Multi-media Brian Genchur. On August 19th 2011, in a circulated email, (Click here) Genchur wrote: "I would like to kill the terrorist [al-Megrahi] myself. In reality, I'm hunting for him on my own thru a few channels. If he can be found, I'll have him whacked." "Cause his oxygen to be removed..."
to kill Osama Bin Laden being sent to extract Megrahi. Presumably they would kill him on the spot." Megrahi's family were continuously at his bedside. We can be sure that if Genchur and friends had carried out an assassination they would have killed all witnesses. Five days later on 24th August 2011 Fred Burton, in an email generally circulated within the company, added (Click) a further statement: "While the world is focusing on the chaos in Libya counter-terrorism agents could take advantage of this window of opportunity to capture him [al-Megrahi].... The symbolism of grabbing him and bringing him back to trial in a US court would resonate around the world". Six weeks later (3rd October 2011) Burton added more advice to his employees, in an (Click) email to Anya Aliano of Stratfor: "Can you check to see if there is a Reward for Justice offer for his capture? I've heard we may have to cut a deal with the rebels to leave him alone. If so, I don't care and will try to have him grabbed or cause his oxygen to be removed. Thanks."